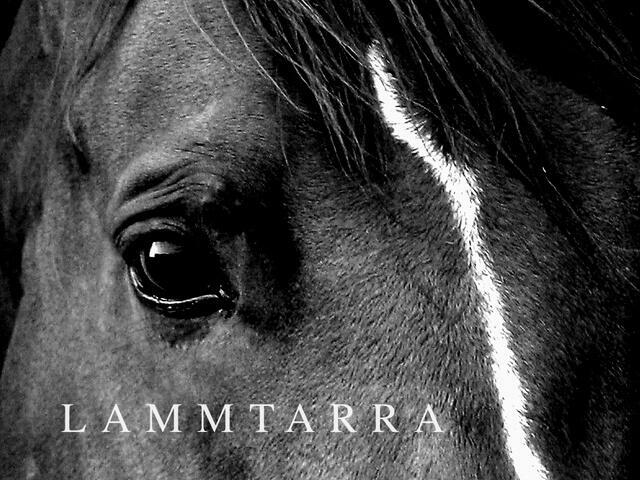 Just as I was getting ready to post the second part of my Australian and New Zealand thoroughbred article, the news came that Lammtarra had died. And the presses ground to a halt, here, and right around the world. The internet was alive with photos, dedications and memories. The racing world stopped betting, debating, reporting and analyzing, to mourn. Unless you were following international racing in 1994-1995, Lammtarra is only a name to you, if that. It has become in vogue to talk about great thoroughbreds using metaphors like the one of a comet flashing through the firmament. But what Lammtarra represented was something more curious, something inexplicable, something even those who knew him best seemed at a loss to capture. Lammtarra was a symbol — and symbols, by definition, are always greater than whatever they stand for. Symbols, like metaphors, are part of a secret and universal grammar. Each man, woman and child, wherever they are, understands this secret way of saying. And of thinking. Since a symbol, like a metaphor, is there to take the mind to higher ground. Although we like to clarify them by saying that X is a “symbol of” something or other, the greatest symbols just are. And Lammtarra just is — and will forever be. True to the landscape of symbol, listing the handsome chestnut’s endowments and accomplishments only dwarf the individual from which they flowed. Lammtarra was brilliant on the turf, coming back from an illness that almost killed him to start his 3 year-old season with the Derby, where he set a turf record that stood for 15 years (until Workforce took it down in 2010). 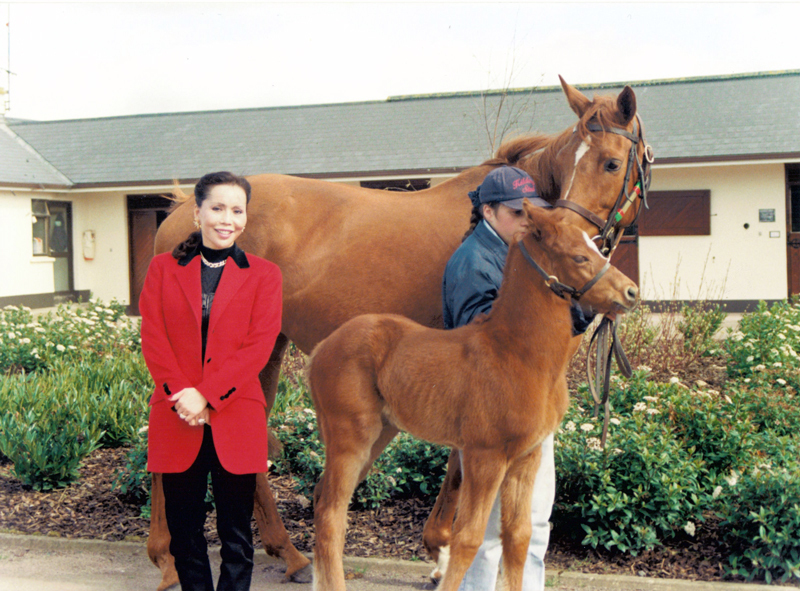 In a short career of 4 starts/4 wins, including the 1995 King George VI and Queen Elizabeth II Diamond Stakes at Ascot and the Arc in the same year, Lammtarra did the impossible. Walter Swinburn, who rode him to victory, remembers that after they crossed the finish line, Lammtarra wanted to keep running, just as he’d done in his first win as a two year-old. Today, Swinburn places Lammtarra in the triumvirate of thoroughbreds that he considers the best he ever rode. The other two are Shergar (1978) and the lesser-known, though gifted, Zilzal (1986). 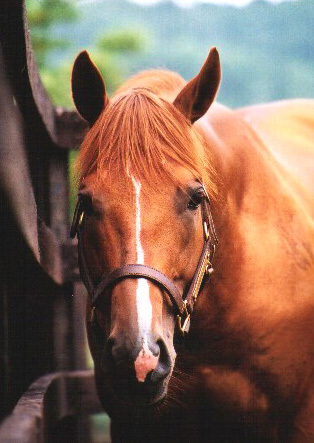 Sent to the breeding shed, Lammtarra stood only one season at his owner’s Dalham Hall Stud before he was sold, for 30 million dollars, to take up stud duties in Japan. There, too, he failed to get anything even close to his own brilliance. In August 2006, upon learning that Arrow Stud was planning to sell Lammtarra to Korean interests, HH Sheikh Mohammed bought his champion back, and the stallion ended his days in the lush paddocks of Dalham Hall Stud near Newmarket. Even in retirement, Lammtarra had frequent visits from horse people of all kinds and when the Dalham Hall stallions were on parade, he was proudly brought out as well. It was eminently clear that HH Sheikh Mohammed and the Dalham Hall staff who cared for him would honour Lammtarra as the champion he was until the end of his days. Although his breeding career was unsuccessful, Lammtarra’s daughters and their progeny are still prized, given his exceptional bloodlines. Here is Lammtarra’s grandson, Masterstroke (2009), running third behind the winner, Solemia, in the 2012 Prix de l’Arc de Triomphe, beating the likes of the 2012 Derby winner, Camelot (2009), and superstar, St. Nicholas Abbey (2007) to the wire. Lammtarra means “invisible” in Arabic. It seems a strange name to give a colt of such royal lineage. But the name certainly carries a very ancient wisdom about what can be known versus what lies beyond. And in Lammtarra, that wisdom found an eternal home. This article is respectfully dedicated to HH Sheikh Mohammed bin Rashid Al Maktoum and to the the staff of Dalham Hall Stud.